The destination and the last photo of this walk. 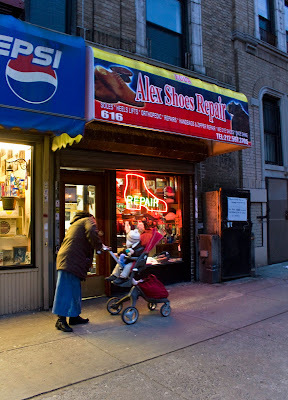 Alex Shoe Repair. Bill (my son) arrived today and tomorrow we plan to walk on Ft. George Avenue. Come back tomorrow to find out where that is.